Understanding the thought process of your customer is a crucial part of developing an effective and relevant email marketing campaign. Getting to know the five simple steps of the Customer Journey could be the key to your email marketing success. The Customer Journey describes the thought process and actions of your customer from finding out about your business (i.e. initial contact) up until becoming a loyal customer (after-sales.) 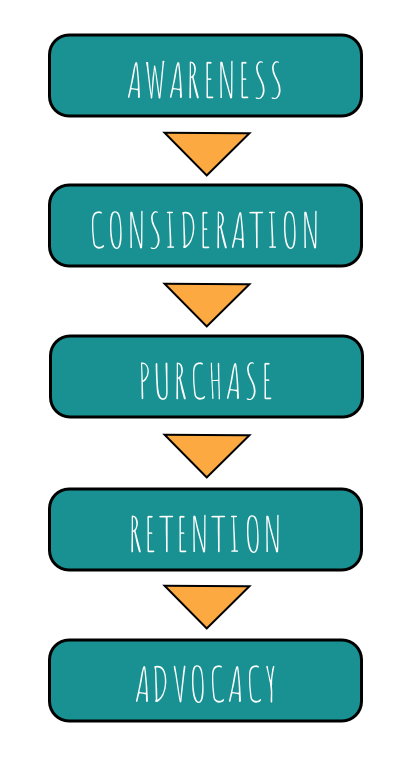 This cyclical process is a great basis for your email marketing strategy, and it’s good practice to ensure every email you send is reflective of one step of the Customer Journey. his is the first step of launching your email marketing campaign. Before you can convince a customer to purchase a product/service, you first have to make them aware that it exists. Welcome emails give first time/potential customers a quick introduction to your business and who you are. You can also reach out to existing customers. Emails advertising a sale, new product range, or a product launch are all examples of how to reflect awareness in your email campaign. Here is a great example from Lyft. This design clearly introduces the service and explains to customers what they can expect when using it. We also love that they have included a preview of the app – the more relevant information, the better! Make customers aware of your product by introducing yourselves in an welcome email. Testimonials: Try including quotes or snippets of reviews in your email to show customers what they can expect from your product/service. This simple yet effective email from Kate Spade includes customer comments for the advertised products – bonus points for the animation! Include customer testimonials to help convince new customers. Incentives: If the customer notices the product is on sale or has a great offer attached (e.g free shipping or free gift with purchase) this can often encourage them to buy. 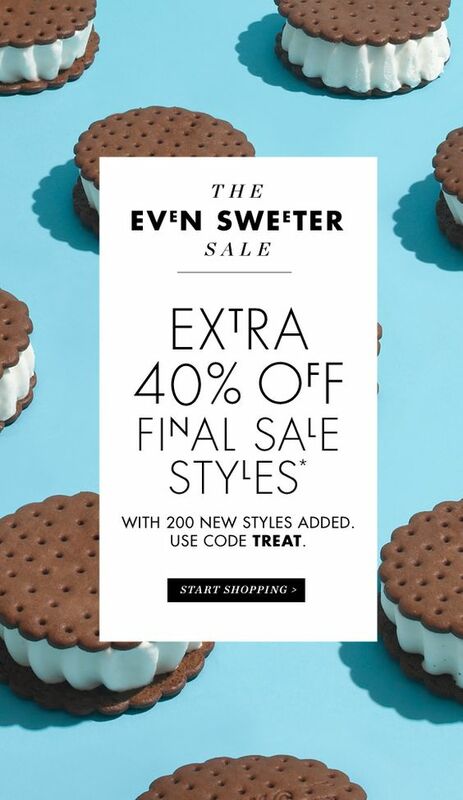 With this sweet email design, J Crew are going the extra mile to convince customers to purchase in their sale. Offer a tempting incentive to make customers want to choose you. Eliminate the competition: Find out your USP (unique selling point) and use it to set yourself aside from other brands on the market. List the unique benefits of your product/service and your customers will see why you’re the top choice! Make sure the information about the product is accurate. The last thing a customer wants is a surprise when they get to the checkout. Make sure the price is up to date, shipping information is correct, and, most importantly, the product you are advertising is in stock! Make sure all images and mentions of the product on offer are linked to the relevant page on your site. This saves the customer time and means they don’t have to put in too much effort to find what they are looking for on your website. Make your CTAs (call to actions) clear and easy to find. The customer needs to be able to quickly identify how to purchase the product/service. If they can’t find the CTA, the chances are, they’ll look elsewhere. It’s also a good idea to include a phone number which customers can use to get in touch with you if they have any queries about the purchase. Anything you can include to make this step easy and stress-free is a bonus! Make it as easy as possible for customers to purchase items advertised in your email. If you forget about your customer as soon as the transaction is completed, you’ll miss out on opportunities to establish a strong relationship. One effective method to show customers you care is the “Thank-You Email.” To go the extra mile, try including a discount or offer to encourage them to return to your site. Reengagement emails also fall under this category. Amazon do a consistently good job here with their classic “re-purchase email” in reminding customers of products they have previously purchased in order to encourage them to reengage. Use reengagent tactics to maintain your relationship to your customers. If your brand has a lot of active followers on social media, it looks impressive to new customers – particularly if they engage with your content. Encourage your email subscribers to follow you on Twitter/Instagram/Facebook to demonstrate their advocacy for your business. You can also reach out to customers and inspire them to rate your business or write a review for you. Testimonials are great at winning over new clients and if your customer is satisfied with your product/service, they should be more than happy to get on board! In this example from Nasty Gal, customers are encouraged to share the email with a friend. By doing so, they are subconsciously advocating the brand through a personal recommendation – genius! Encourage your existing customers to become advocates for your brand and raise awareness to new customers. We hope we’ve inspired you to always stay focused on the customer journey when planning your email marketing campaigns. If you remember to always refer back to the five steps, your emails will be more relevant and effective for your business.